CNN had all the ratings momentum in January, with the cable news network closing out the month firmly ahead of MSNBC in all key dayparts in both total viewers and the demo 25-54 rating and also narrowing the gap significantly with Fox News to the closest margin in six years (since January 2009). CNN has now beaten MSNBC for the seventh straight month in Total Day among both demos, and in M-Su/M-F Primetime in the demo, the longest streak across these dayparts and demos in six years (since November 2008). CNN (and HLN) are up from year-ago in all categories, with CNN posting the largest growth in cable news. MSNBC is down double-digits in all three key dayparts among both demos, posting the largest declines. Fox News is seeing double-digit losses in Total Day among both demos, and in M-Su/M-F Prime among total viewers. CNN also ranked #1 in Total Day and M-Su Primetime among 18-49. 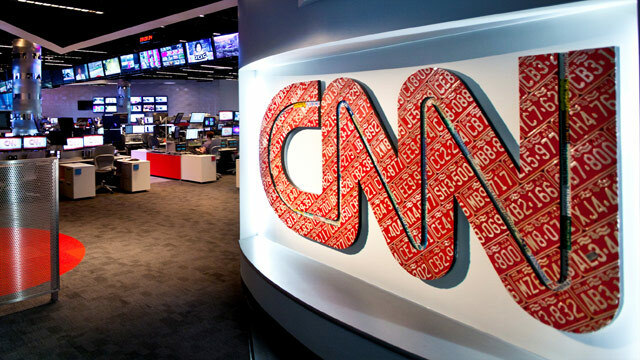 On weekday mornings, CNN’s New Day registered its highest ratings ever in January and posted its largest monthly share of the cable news morning audience since 2009. The program also easily beat MSNBC’s Morning Joe, topping Joe for four straight months in total viewers and seven consecutive months among A25-54. Fox and Friends posted its lowest delivery since 2001. This month, CNN Newsroom with Brooke Baldwin at 2pm and 3pm ranked #1 in the demo 25-54, beating Fox News’ Gretchen Carlson (2pm) and Shepard Smith Reporting (3pm). CNN’s weekday Primetime programs all registered enormous growth especially in the key demo (Outfront with Erin Burnett up +100%, AC 360 up +81%, CNN 9pm programming up +91% and CNN Tonight up +47%) while Fox News was up single-digits (+4%) and MSNBC lost a whopping -45% of its weekday Primetime audience. CNN’s D.C.-based and Sunday morning programming all posted significant growth and easily topped MSNBC this month. CNN Original Series Morgan Spurlock Inside Man season three premiered this month with its highest rated episode ever in both total viewers and the demo. The premiere of CNN Films: Life Itself in January ranked #1 in cable news in its time period among both demos, more than doubling Fox News in 25-54 and MSNBC in total viewers. Only 24k viewers (14%) separate CNN and #1 Fox News (168k vs. Fox News’ 192k) in the demo, the narrowest gap since January 2009. Only 48k viewers separate CNN and Fox News (228k vs. 276k) in the demo 25-54 rating. Only 87k viewers separate CNN and Fox News (258k vs. 345k) in weekday primetime in the demo rating. Fox News: 1.204m total viewers (up +1%) / 198k A25-54 (down -13%). Only 25k viewers separate CNN and Fox News during the day (173k vs. 198k) in the demo. o M-F 10p hour: 2nd lowest P25-54 since Aug-01 (after May-14); lowest P2+ since May-04. FXNC averaged its lowest monthly performance among P25-54 in over 13 years (since Aug-01), and in P2+ since Jan-11. With Fox & Friends, FXNC posted its smallest monthly share of the cable news morning audience among P25-54 (38%) since Dec-08, and in P2+ (47%) since Jul-11. Versus year-ago, Fox & Friends is down double-digit percentages among both P25-54 and P2+, seeing the biggest decline across cable news among P2+ in the daypart. o Total Day: 2nd lowest P25-54 since Jun-06 (after Oct-14); 3rd lowest P2+ since Dec-07. o M-Su Prime: 2nd lowest P25-54 since Jun-06 (after Oct-14); 2nd lowest P2+ Dec-07 (after Oct-14). o M-F 8p hour: 3rd lowest P25-54 since Aug-05. The 9p Rachel Maddow Show, which launched in September 2008, registered its 2nd lowest monthly P25-54 delivery on record (after Oct-14). o M-F 10p hour: 2nd lowest P25-54 since May-06 (after Oct-14); lowest P2+ since Apr-08. The M-Th 10p Last Word with Lawrence O’Donnell, which debuted in October 2010, averaged its 2nd lowest monthly P25-54 (after Oct-14) and P2+ (after May-14) performance on record. o Across cable news versus year-ago, the only network down across Total Day, M-Su/M-F Prime, and the individual M-F 7p-11p hours among both P25-54 and P2+. Posted the biggest declines in the aforementioned dayparts among both demos. MSNBC posted its 2nd lowest monthly P2+ delivery since Aug-08 (after Jul-14). Versus year-ago, Morning Joe is down double-digit percentages among both P25-54 and P2+, seeing the biggest decline across cable news among P25-54 in the daypart. Early Start with John Berman and Christine Romans (5-6a) was up triple-digits from a year ago in both total viewers and in the demo rating (+106%). MSNBC’s First Look/Way Too Early declined -39% and Fox & Friends First was off -34% in the 25-54 demo. New Day posted 24% A25-54 share of 6a-9a cable news mornings, its largest share since launch. Fox & Friends registered its lowest A25-54 share since July 2013 with 38% and MSNBC’s Morning Joe posted its lowest P25-54 share since October 2014 (15%). New Day averaged its highest total viewer ratings ever this month (393k), increasing +87% from a year ago and highest ever among 25-54 (138k), up +86%. Morning Joe ranked third in total viewers (316k) down -15% and fourth in the demo (88k), down 33% from last year. Fox and Friends was down -18% from a year ago in both demos. CNN Newsroom with Brooke Baldwin was No. 1 in cable news at both 2p and 3p, topping both Fox News and MSNBC in the demo 25-54 rating. For the month, Baldwin’s show at 2p averaged 178k, Fox News (Gretchen Carlson) posted 165k and MSNBC (Joy Reid) trailed with 45k. At 3p, Baldwin had 178k, Fox’s Shephard Smith Reporting followed with 161k and MSNBC’s The Cycle had 51k. The Lead with Jake Tapper more than doubled MSNBC in both total viewers (666k vs. 320k) and in the demo (171k vs. 54k). The Lead also posted significant growth increasing +73% in total viewers and +69% in the demo. Fox News and MSNBC lost audiences in both demos this month. The Situation Room with Wolf Blitzer (5-7pm) also had a strong January, easily topping MSNBC in both total viewers and the demo. The Blitzer-led program was also up +71% in total viewers and up +92% in the demo 25-54 vs. a year ago; while Fox New and MSNBC were down. Erin Burnett Outfront easily beat MSNBC’s Hardball in the key demo (212k vs. 135k). EBOF grew triple digits +100% in the demo from last year and +90% among total viewers vs. a year ago. Hardball decreased -47% in the demo and -22% in total viewers. Anderson Cooper 360 (8pm) ranked #2 in cable news, easily topping MSNBC’s All in with Chris Hayes by wide margins in both total viewers (713k vs. 593k) and in the demo (248k vs. 122k). AC 360 also posted significant growth vs. a year ago, increasing +47% in total viewers and +81% in the demo from a year ago. MSNBC’s Hayes decreased -26%/-50% from a year ago. CNN programming at 9pm ranked #2 in cable news in the demo, growing +91% from a year ago. MSNBC’s flagship primetime program The Rachel Maddow Show ranked #3 in the demo (155k), shedding -49% of its audience from a year ago. CNN programming at 10pm (mostly CNN Tonight) ranked #2 in both total viewers (497k vs. MSNBC’s 458k) and in the key demo (189k vs. 117k). At 10pm, CNN increased +26% in Total Viewers and +47% in the demo – while MSNBC declined -49% in the demo rating. Smerconish ranked #2 in total viewers and the demo – increasing +107% in total viewers and +70% in the demo on Saturdays at 9am. Fareed Zakaria GPS ranked #2 in both total viewers and the key demo at 10am and 1pm. GPS grew double-digits in both demos, both hours. Reliable Sources with Brian Stelter ranked #2 in both total viewers and among 25-54 at 11am. RS increased +42% in total viewers and +58% in the demo vs. last year, while Fox News’ Media Buzz declined -5% among total viewers. The season three premiere of CNN Original Series Morgan Spurlock Inside Man posted its highest rated episode ever on Thursday, January 22 (9-10p) in the key demo (276k) and in total viewers (590k). Inside Man ranked #2 in its time period, easily topping MSNBC’s The Rachel Maddow Show in the demo (276k vs. 187k). The premiere of CNN Films: Life Itself (Sun 1/4/15, 9p-11p) delivered 213k A25-54 and 590k among total viewers. The Film ranked #1 across cable news in its time period among both demos, more than doubling Fox News in P25-54 and MSNBC in P2+. Of the 16 CNN Films and 3 CNN Films Presents premieres to-date, was the first to win its time period in P2+. Beat MSNBC (154k) by +38% and FXNC (85k) by +151% in P25-54. Ahead of FXNC (503k) by +17% and MSNBC (267k) by +121% in P2+.